I've also tallied up my yardage and excluding muslin, interfacing and scraps, I've accumulated approximately 73 yards of fabric! It's not all apparel fabric, lots of quilting cotton in that stash, most I've had for years. 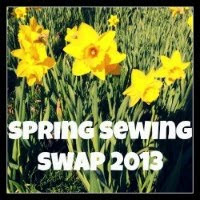 In addition to all that yardage, I have 14 refashion projects on the back burner, both thrift clothes and alterations. p.s. 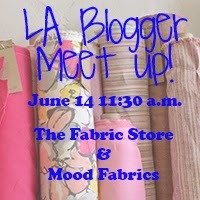 Don't forget to enter the giveaway so I can make space for more fabric, ha! I am going to start saving the kids cereal boxes to make mini bolts for my fabric. My fabric cabinet is a disaster. Hopefully I can find a sewing table soon and make my nook in the new laundry room so I can get everything organized. I never thought of using cereal boxes before-genius! I can't claim the idea...I found it on one of the blogs I follow "Smashed Peas and Carrots". She actually uses comic book boards because they are acid free, but i don't keep fabric around that long! Plus, it is all about the recycling!! !